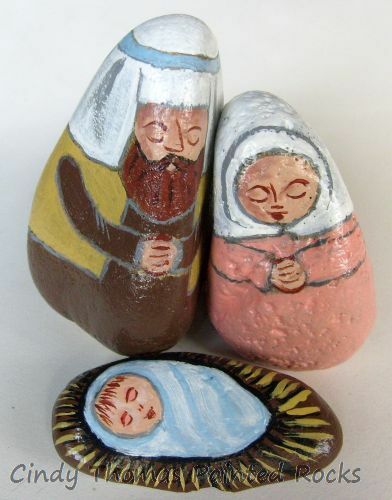 The shape of the Mary and Joseph rocks allow them to lean sweetly into each other as they lovingly pray over the newborn Jesus. 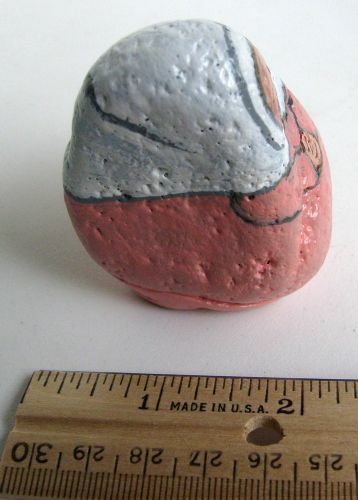 Mary was painted on a triangular, pitted rock. Her robe is painted with sweetheart roses acrylic paint and the headscarf is white. 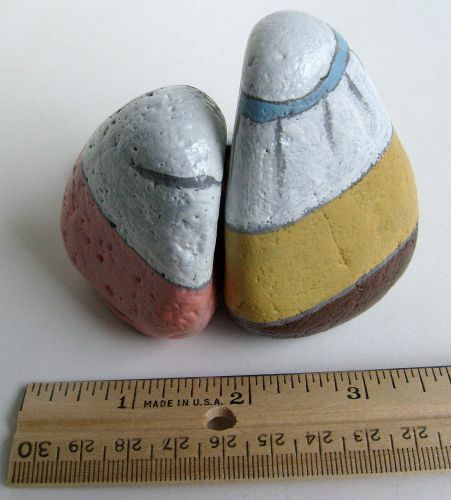 Wood filler was applied to the base of the rock for added stability. 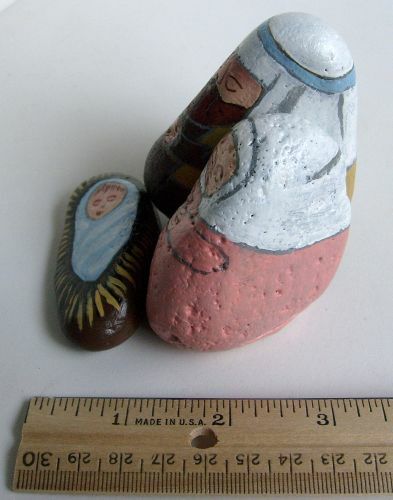 Joseph was painted on a smooth, triangular rock. 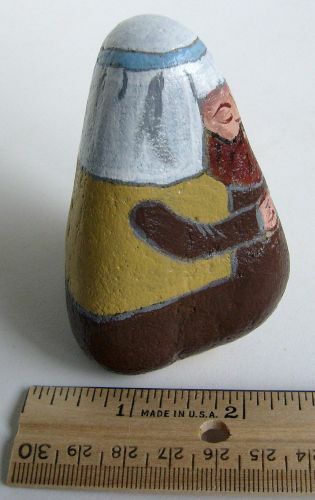 His robe is painted with earth brown acrylic paint. 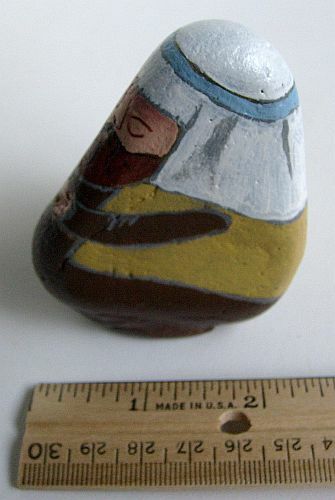 His vest is yellow ochre and his headscarf is white with a light blue heaband. 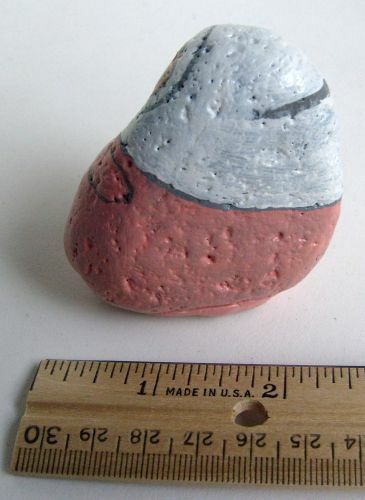 Wood filler was applied to the base of the rock for added stability. 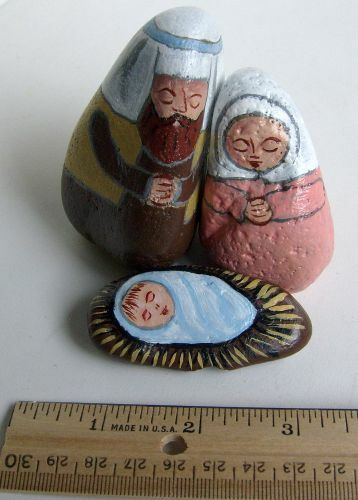 Baby Jesus' swaddling clothes are painted with light blue and white acrylic paint. The manger is painted earth brown with yellow for the straw. All three pieces are sealed with clear acrylic and polyurethane.